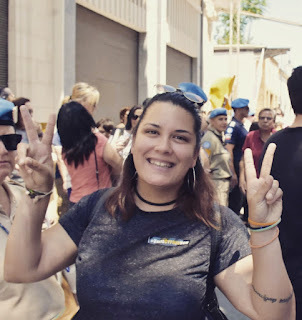 In view of the talks under the auspices of the UN to resolve the Cyprus problem, OneEurope discussed with Yiota Hadjikosta, a law student at the University of Nicosia, about her opinion on various issues around the issue. Yiota takes part in various actions that promote the reunification of the island and shares her views and vision for the future in an interview with Leonidas Asimakopoulos. 1. When did this round of talks begin and how much is it expected to hold? This particular effort began almost three years ago. The election of Mustafa Akinci was seen as a new opportunity that should not have been missed, as compared to his predecessors, you are considered to be more ambitious and supportive of the Bi-Zonal/Bi-communal Federation. 2. What is the difference between this round of conversations from previous rounds? As I said, the election of Akinci was and still is an opportunity itself. For the first time, the election of two Leaders with a common vision for Cyprus coincides. After various ups and downs, all sides now feel that we have reached the end point. The difference today is that for the first time Turkey as a Guarantor Power claims that the existing guarantee system in Cyprus can not be left. The fact that Turkey today stands against Cypriot Republic alone is a small victory. 3. Would the inhabitants and the "government" of the Occupied North be able to leave behind the Turkish identity that has been cultivated to them? Here I have to disagree. I do not think Turkish Cypriots have also a Turkish identity. I would say that they are against to be identified as Turkish. Many times they have been the first to react against Turkey and against the role Turkey is trying to play. Turkish Cypriots believe that after the 1980s they were more mature and have been more ready for another future. Clearly, they are heavily dependent on Turkey because of the non-recognition of the Puppet state, but I insist that the Turkish identity has never been virtually cultivated, except in very few cases. 4. Is the Greek Cypriot side ready for an association? I think people are more ready than the politicians believe on both sides. Young people, pupils and students have been involved in bi-communal programs, many have Turkish Cypriot friends. So I think the people in both sides are more ready than we think. 5. What is the biggest barrage of negotiation about the guarantees status or about property issue? Theoretically, for me, the issue of achieving a solution is the sense of security and the status of guarantees, and this is because both communities should feel safe. 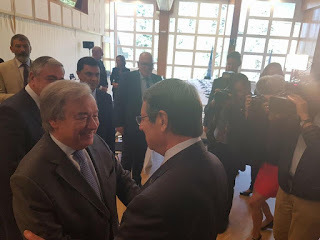 Clearly, the existing system can not be maintained, and this is why people involved with the Cyprus Issue have been gathered in Crans Montana. On the other hand, allow me to believe that the debate on guarantees and security will also show the true intentions of all parties, not just Turkey. 6. 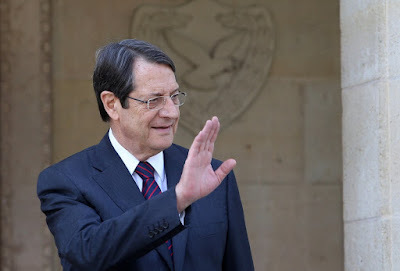 Has any suggestion been made regarding the name change of the State or has a proposal been made on how to govern a single Cyprus? Of course not. First and foremost, it is important to find a common code of understanding between the parties and to come up with this effort somewhere. It is also clear that the Republic of Cyprus will continue to exist as a fully recognized State both in the EU and the UN. Now, as far as the administration is concerned, we still do not have any information, since the Security and Warranty issue is important. 7. What would Reunification change in the economy of the island? A lot! And I'm sure of that. First of all, the geographical position of Cyprus and its climate make it unique. 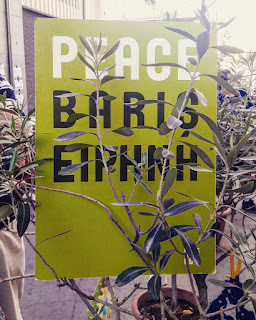 Between three continents Cyprus can and should be a Peace Pillar. Due to our climate and position, as well as the security that the island provides, the economic part of the solution and especially the economy will develop. Cyprus has already begun drilling in its EEZ and has signed a deal with economic giants. Also conditions of cooperation with states such as Israel and Egypt can only positively operate. A United Cyprus, therefore, able to exploit its natural wealth would be the best economic solution, and I mean not only natural gas but all kinds of natural wealth. 8. 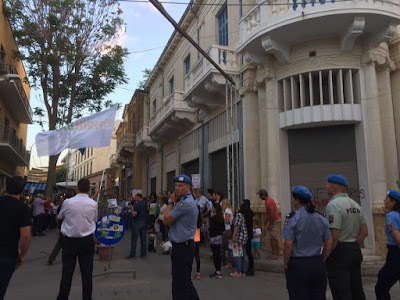 Why do the inhabitants of Nicosia appear more receptive to a solution to the Cyprus problem? I would not say that. Each city lived a lot of events before 1974. Just Nicosia, during the coup and the Invasion, together with Kyrenia, were the ones who lived them more vigorously. The coup d'état against Makarios was at the Presidential Palace, while the Invasion began as a result of the crusade in Kyrenia. 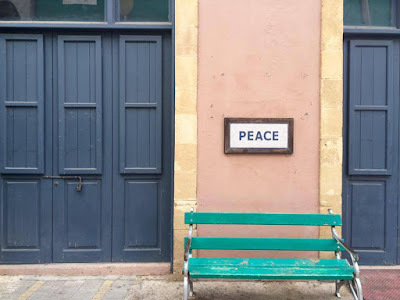 The people of Nicosia have, and today, have the misfortune to live in the only divided capital in Europe. It's hard to know how to walk in Old Nicosia and be within a hundred meters of roadblocks. It is difficult for us every morning to wake up with the view of the flag of Pentadactylos. Besides, Nicosia also have more contact with Turkish Cypriots. 9. What is considered to be the most sensitive problem in order to accept a possible solution? A sensitive issue for me personally is to return to our villages. Even if I do not give back my village I would like to go to find my grandfather's bosom, who is missing. Missing too is a big blow to everyone. Altogether with the 1619 Greek Cypriots, there are also 500 Turkish Cypriots. 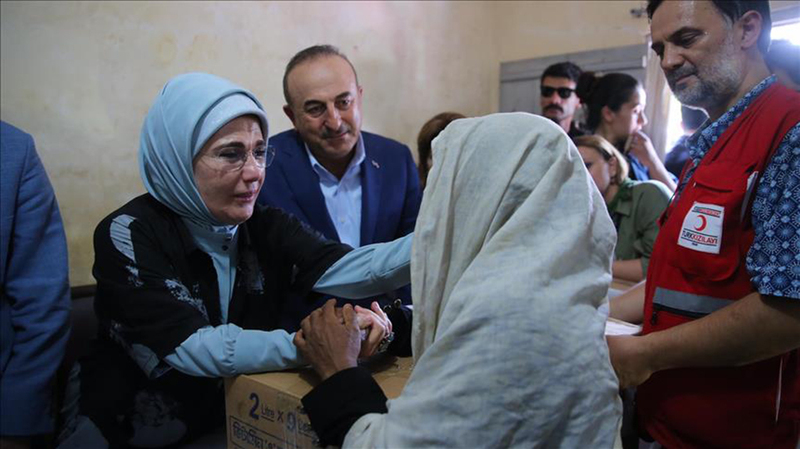 I believe that Turkey has helped more, by opening, for example, In some military areas, then it would be a good step. 10. Have you ever visited the Occupied side of the island? If so, how did you feel? The truth is that the first time I went was just opening the roadblocks in 2003. But I was only 9 years old. I remember that I went with a jersey that had the Greek flag on it. I considered it an act of reaction. Certainly, after years, I realized that such acts do not make Turkey to leave the island. 11.Have you ever been back again since then? Yes! It took me about 12 years to do it. I had met a Turkish Cypriot in an event. We started talking. He was from Famagusta. It was then that I realized that beside me they were not aliens but people like me, young people with the same concerns and worries for the future. I felt it was the time I had to move away from nationalism to reality. Today in 2017 I go as often as I can. I have many friends on the other side of every age. 12. What's your own vision? Why does a young person want the solution of the Cyprus problem so strongly? Nice question ... At first I grew up in a refugee home. My mother lost her father and her cousin, like my father, the uncle who was like his second father. It is very sad that you can not learn the fate of your people (I come from Tumbus, which is the airport of the North and Assya where in the half of it the traffic is forbidden). My parents were almost getting married. They did not pretend to enjoy their home. As you can see when other children were reading the fairy tales to sleep, me or my mom told me stories from their village. Today my parents are too old. This is what scares them, they do not want to die while being refugees but they wish to see their home again. Maybe it's more for them that I want a solution so strongly. It is clear that there is only gain for every inhabitant of the island and for the generations to come in particular.